Psychological testing impacts virtually every corner of modern life, from education to vocation to remediation. 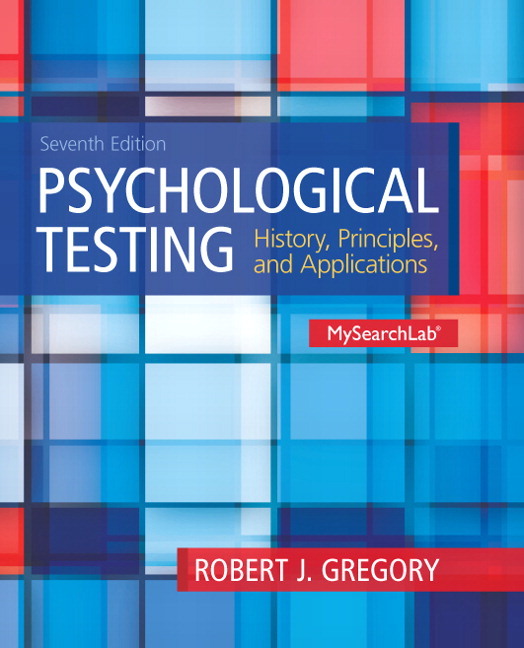 Psychological Testing: History, Principles, and Applications, 7/e, covers all variations of testing and explores social issues testing raises. This program provides readers extensive knowledge about the characteristics, objectives, and wide-ranging effects of psychological testing. This title is available in a variety of formats - digital and print. Pearson offers its titles on the devices students love through CourseSmart, Amazon, and more. To learn more about pricing options and customization, click the Choices tab. 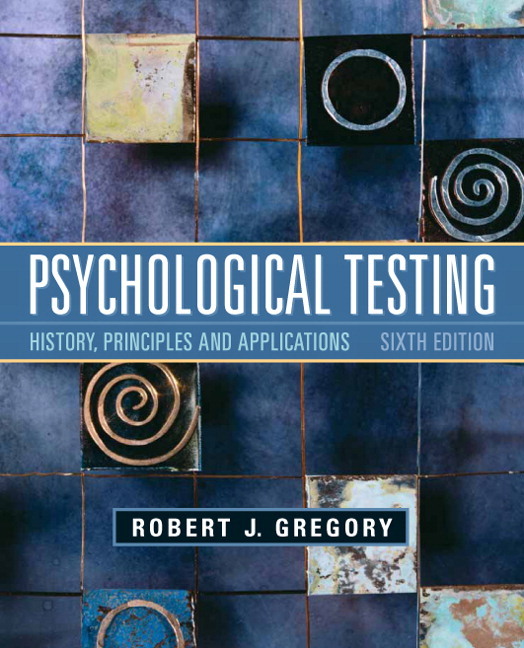 Introduces Psychological Testing — Students will learn how to perform psychological testing and understand it through a historical perspective in Chapter 2, The History of Psychological Testing. They will then gain a firm grasp on the legal ramifications of such tests with Chapter 12, Legal Issues and the Future of Testing. Explores Research — New tests and approaches are included, such as a revamped scoring system for the Rorschach, scales for assessing Autism Spectrum Disorders in children, and baseline tests of neurocognitive functioning in soldiers and athletes. Relates to the Real World — Real-world case studies — including fascinating recent findings — bring concepts to life for students. Supports Students and Instructors — The text consists of 12 chapters and 24 modular topics. For students, this structure makes assimilating complex ideas easier; for instructors, it allows them to tailor the text to fit individualized lesson plans. Testing Special Populations; new material includes coverage of the Devereaux Early Childhood Assessment--Clinical Form (DECA-C), and review of scales for screening Autism Spectrum Disorders. Robert Gregory earned his Ph.D. in clinical psychology from the University of Minnesota where he absorbed a healthy respect for the value of empiricism in psychological testing. He taught at the University of Idaho for 23 years where he also developed a private practice in assessment. In his practice, he specialized in the evaluation of intellectual disability and cognitive impairment. His academic research centered on assessment topics such as subtle cognitive differences in left-handers, the impact of subclinical lead exposure on intelligence, the psychometric qualities of a wide variety of cognitive and personality tests, and meta-analysis. In one phase of his assessment career, he estimates evaluating more than 100 applicants for law enforcement positions. He has taught psychological assessment for 40 years. On 50 separate occasions, he has offered a course featuring one or another of the Wechsler scales (“Now do this one as quickly as you can, and be sure to tell me when you are finished”). He was professor of psychology at Wheaton College (Illinois) for seventeen years, including eight years as department chair, and five years as director of their doctoral program (Psy.D.) in clinical psychology. In his spare time he is an ambivalent jogger (motto: “Start slow and taper off”). He also does watercolors (motto: “Ability is over-rated”) which he stores in a secret compartment in his basement. He practices mindfulness-based meditation on a regular basis (seriously). He resides in the Seattle area and maintains an active interest in testing and clinical psychology. He is Professor Emeritus at Wheaton College (IL).